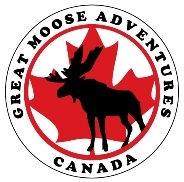 Great Moose Adventures - What to Bring? Wednesday & Thursday Night Camp-outs you don't need much. You are welcome to leave a bag of gear at camp from Monday to Friday for all your extra gear. Feel free to bring a backpack for our overnight camp out. No need to bring your own back pack, as we will be using our bigger canoe trip packs.